Read from June 23 to July 04, 2014. You know what, I’d say that this book is deserving of all of the hype and fame that it has received. Why you ask? Because this is one of the few YA novels that isn’t chalked full of a bunch of barfy teenage romance but instead focuses on the more interesting dystopian setting and all of its encompassing action! 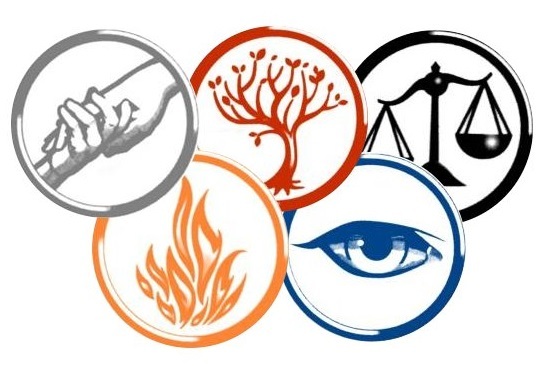 At sixteen, each teenager is given an aptitude test to see which faction they would be best suited to. While the test is often the best suggestion to which faction they should go to (often the same one they grew up in), each teenager has the free will to choose which faction they would like to go to. Each faction follows specific rules and ways of life. For example, the Abnegation faction is based on selflessness. They dress drab, as to never focus on themselves and believe in helping others. A quirk with this faction is that they don’t have mirrors. It is in the Abnegation factions where the main protagonist, Beatrice Prior grows up. The Abnegation faction is not the most well liked faction as they are the ones that run the whole government, given their selflessness. The Erudites, believe that because they focus on knowledge that they should be apart of the government which has created a massive rivalry between the two factions. Beatrice never feels like she quite belongs in the Abnegation faction, she isn’t quite selfless enough, not like her brother. When Beatrice takes her aptitude test she isn’t quite sure what to expect. He assessor tells her that she is Divergent, a word she had never heard before, and warns her not to share this information with anyone for fear of her life. When it comes time to pick a faction she decides to go with the Dauntless faction, and her brother, shockingly to the Erudites. It is not often that teens will leave their faction and family. Beatrice is thrown into the world of the Dauntless, the brave and the fearless. They sport tattoos and eccentric clothing which, is unlike anything that Beatrice has ever seen before. The first few tests with the faction force her to do some death-defying feats in which not all new initiates make. For those that survive and fail any of these feats, they are considered ‘factionless’ and are sent to live, homeless, outside of the city. Making her way from an initiate to a full Dauntless member, Beatrice learns what it means to be Divergent and why it was so important to keep it a secret. She also unfolds a plot which will change and destroy the way of life for each an every faction. The book spends most of the time within the Dauntless faction following Beatrice’s trials, which are action packed and intense. She fights and beats up boys, she has to constantly put herself in the face of danger and stand up for those that were not Dauntless-born, like herself. Granted, she does meet a love interest but that doesn’t really unfold until near the end of the book and up until that point you’re taken on a wild ride of adventure and awesomeness! Unlike a lot of YA novels, the qualities that make Beatrice different from the rest of the characters are not necessarily a good thing or overly exceptional. As Beatrice is Divergent, she thinks differently and has harder choices to make than those who aren’t. Things are not cut out so nice and clear for her as they are for others. It also raises the question of the potential that perhaps everyone is capable of being Divergent if they were given the chance to think outside the box of what their faction and government restricts them to. What makes Beatrice remarkable and a great heroine are her choices to want to be something more and her ability to stand in the face of fear even though she is deeply afraid. While she ends up fully embodying the Dauntless creed: “…ordinary acts of bravery, in the courage that drives one person to stand up for another…” she ultimately represents every faction by being Divergent and shows that every person is able to display the qualities of each faction. For those who are looking for a refreshing YA read and have been curious about the potential for this book I strongly encourage you to give Divergent a read! Originally published on February 28, 2014. Read from November 14, 2013 to February 04, 2014. In regards to this specific edition, while I understand that this was an ARC, how this book appeared in my ereader was less than flattering and added to the difficulty of this read. For one, the formatting of the pages was off, no matter what size I set them to. I ended up having a full page and then when I would go to the next the content would only fill half of it. Additionally because of this the footnotes were never in the right place and I found myself back tracking to look something. Proust opens this book with some early memories of childhood and gets into the specifics of his relationship with his mother (let’s all admit it here, Proust was a momma’s boy) and how he yearned and obsessed for more affection than he was given. From there, Proust then talks about the social realm his family keeps, to his hypochondriac Aunt (who was rather entertaining), he then goes into extreme details on the areas Proust and his family used to get home, the gardens, the flowers within them, oh, and few people they encounter along the way. At this point you’re about half way through the book when Proust start talking in detail about poor Mr. Swann. Mr. Swann is an unfortunate fellow who ends up falling in love with a woman named Odette. Odette is a woman of leisure that ends up having multiple relationships with men for their money. How this woman manages to keep a social circle and isn’t ever disgraced in this book I will never know. In the beginning, Mr. Swann doesn’t think much of Odette, he thinks that she is rather plain in the beginning actually, but after a romantic encounter with her involving some cattleya flowers and a car ride Mr. Swann has a change of heart. Mr. Swann’s relationship with Odette is by far the most intricate and interesting part of the story in my opinion. Proust takes you through the emotional turmoil and circle of jealously, love and fear and why Mr.Swann who, cannot for the life of him leave Odette despite her cruelty and obvious fidelity. I found myself wondering why Mr. Swann never did ask Odette to marry him. That would have been one way to secure something for him, and really solidify finances for Odette but it never came around. Now that, is the plot in it’s most bare form. What makes this book difficult is that the plot itself is not really the focal point. It’s the philosophical statements that Proust makes in relation to the plot where the masterpiece appears. His writing is truly beautiful and poignant but because of this it is also innately boring. In order to appreciate this book the reader needs to fully invest time into it, focusing on individual passages, reading every footnote and analyzing what appears to be a strange drawn out diary of a Frenchman. This novel is in itself a testament to its own time frame, which was one of leisure and art. Proust was a bold man to write out everything as he did. In our world, that is so fast paced, to settle and take time to fully appreciate and relate to a novel like this is immensely hard. But not impossible. This novel is the kind of piece I wish I had the pleasure of reading in University when I was surrounded by other peers and could engage in discussion. I can already foresee some students loathing the novel and not seeing the point, viewing it as just another piece of outdated literature. Tell me, does this quote not speak to you on some level? What University student or person in general has not questioned their own position in life? If they should pursue their said education or if the timing of it was right? Or getting nostalgic when looking at a particular building or street that reminds them of a past memory? As Proust puts it so nicely, the places that we visit and choose to go don’t belong in just our own space and reality. It’s a creation of the realities and physical things and places of every thing surrounding us which is what forms our impressions and memories. What may be an image of regret for one person may not be for another and these memories, as the physical items that are associated with them, are brief moments in the terms of time and space. Deep huh? This is just one of the many examples and reflections that exist in Swann’s Way. This piece is still immensely relevant if you are able to take the time to divulge in it. Now, the reason I’ve give this book two out of five stars is that despite the beauty of the writing and the reflections that it makes, it is for the most part, not an enjoyable read. I decided to stick with this rating because I am a reader in the 21st century and I do expect some amount of pleasure when I’m reading a book. I do no live a life of leisure in which I can notice an appreciate every detail of the surrounding in my life (despite that potentially being a negative thing). I want characters that I can invest in and a moderately relate-able plot. I enjoyed Proust as a boy, his strange Aunt and the troubles of Mr. Swann as those were specific areas in the book that get involved in. So when Proust spends so much of the novel, for example, going off about the specifics of a certain flower, my focus, is going to waiver. I think even them most scholarly reader will have to admit that. With all that aside, I feel that anyone who is interested in amazing literature/philosophy or is looking for some perspective, insight and wisdom should take some time out of their busy life to read at least one of the books from this set. I know that I’m glad that I did. As today is Remembrance Day, I thought it would be good idea to re-post a review of this book. This book is set building up to and during WWII and it’s stark reminder of the sacrifices and humanity on both sides of war. Please take a moment today to remember those that have died and to thank those who are still serving. Read from September 07 to 17, 2014. This book has created a lot of buzz since its publication and it’s well deserved. 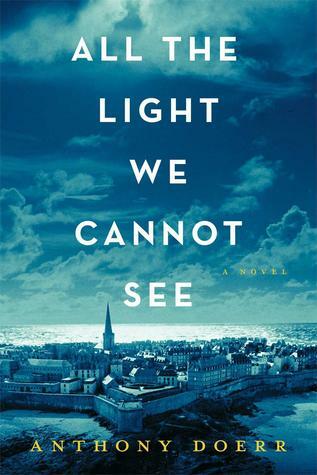 All The Light We Cannot See is a remarkable and one-of-a-kind story that takes place during WWII. Specifically during D-Day and the occupation of France. You follow the stories of Werner Pfennig, a young orphan German boy, and Marie-Laure, a young blind girl both before, during and just after the war. The novel is about humanity and what it means to be human when we are faced with unforgiving challenges and circumstances. Marie-Laure is just six years old when she goes blind. While her mother is no longer alive, her doting father, who is the master of locks a the Museum of Natural History in Paris, is extremely committed to her care. He begins to build small wooden models of the area that Marie lives in so that she can learn to find her way around. While initially terrified, through her father’s encouragement and persistence, Marie becomes a very independent and capable child despite her blindness. Werner is spending his childhood in an orphanage with his sister Jutta as their father died in a coal mine. Werner is a curious and intelligent boy and he is constantly asking questions about the way the world works. He quickly becomes enthralled with the radio that he and Jutta listen to and when it breaks he becomes determined to fix it. Before long, Werner becomes the go to person for any type of radio repair in town. As he grows, so does his cravings for knowledge, but what sort of life could a boy, even a gifted one, have coming from an orphanage? The emergence of Hitler’s youth seemed to provide an answer to that question. While Werner is gifted he is oblivious to the cause that he wants to join. Jutta on the other hand is not as ignorant and she learns to read between the lines of what is being dispatched on the radio and the whisperings of other adults. She tries to warn Werner, but he doesn’t understand. All he can see is his one opportunity to become something more than an orphan. As the war breaks out, you start to see how the story lines of these two very different characters are going to come together to one amazing and potent conclusion. I loved Marie-Laure’s story. Her character is so enduring and real. However, this side of the war has been told many times so the inclusion of Werner’s story, that almost mirrors Marie’s, is what I found truly captivating. You often only get to hear about that horrors that Germany inflicted during this time, which is more than understandable, but it’s easy to forget that there were many innocent and young people in Germany that suffered too as a result of the actions that the adults took around them. The story of Werner and Marie show that despite the horrors that surrounded the war, there were many cases of honor, love, resilience and strength that emerged as well. Within Werner and Marie, the author is able to capture the many facets of being human and that it’s our decisions and actions to do what’s right, regardless of whatever challenges stand in our way, that define and shape who we are and have the power to leave lasting impressions on those that that we meet and effect.